Please use code S10-885-885L19.S when registering to receive a 10% discount. Partner Roz Thomsen will present “Artificial Intelligence and How Regulation of AI Affects Silicon Valley” on July 18 at 6 p.m. for a WIT-NC event in Sunnyvale, CA. WIT-NC is an affiliate chapter of the Organization of Women in International Trade. Many industries will be impacted by the use of Artificial Intelligence. Roz will review the current state of export controls for AI. He will also discuss the challenges for implementing new export controls on AI in hardware, software and technology and whether export controls on AI could be counterproductive. Please mention Registration Code B00-885-2462161 when booking. The Automotive Industry Action Group (AIAG) will hold its 2017 Customs Town Hall November 9 in Livonia, Michigan. At this annual gathering of importers, exporters, and service providers, Thomsen and Burke attorneys Wesley Demory and Maher Shomali will give a presentation on “Encryption Technology/Connected Car/Export Control Implications”. 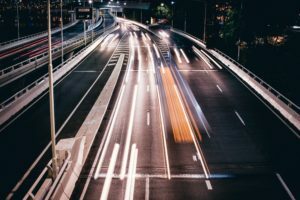 They will review the export control implications for connected vehicles and their components/subsystems, with emphasis on encryption, communications capabilities and autonomous driving technology. Learn how export controls are structured for these technologies and which regulatory exemptions are available. On October 17-18, 2017, the American Conference Institute (ACI) will hold its 10th industry forum conference on International Technology Transfers, Cloud Computing and Deemed Export Compliance at the Park Hyatt Hotel in Washington, D.C. Thomsen and Burke Partner Antoinette (Toni) Paytas will be panel moderator for a conference discussion on October 17 about the most complex and pressing issues posed by cloud computing. The panel will include Robert Rarog, Senior Advisor to the Assistant Secretary of Export Administration, U.S. Department of Commerce; Anne Marie Griffin, Deputy Director, Microsoft; and Sean Mentus, Manager of International Trade Compliance, Northrop Grumman. To receive a 10% discount off of the conference price, register by September 22 and use code S10-883-883L18.S when registering. Maher Shomali and Wes Demory will be speaking at the International Compliance Professionals Association 2017 Miami Conference to be held March 12-15, 2017. Maher will provide an Overview of Encryption Controls, and Wes will focus on Cybersecurity and Encryption Export Controls. ICPA is a non-profit, global trade compliance community whose mission is to provide networking opportunities and resources to individuals involved in international trade compliance. Registration is open for the American Conference Institute’s 7th Advanced Forum on Global Encryption, Cloud & Cyber Export Controls to be held March 28-29, 2017, in San Francisco, co-chaired by Ken Niven, Associate General Counsel, Juniper Networks and Roszel Thomsen, Partner, Thomsen and Burke. Trade and security compliance professionals gather at this event each year to hear from experts across the globe on how to interpret and apply evolving requirements. New for 2017, the program will include an enhanced focus on Cloud Computing. For further details, please see the brochure: 2017 Encryption Cloud Cyber Export Controls Conference. To register, contact ACI at 1-888-224-2480 or register online. To receive a 10% discount off of the early bird main conference rate, register by February 10 with Registration Code S10-885-885L17.S. We are in the midst of very dynamic times for information technology export controls. Recent BIS and upcoming DDTC rules will significantly enhance allowances for controlled technology and software to be stored or transmitted via the cloud. Encryption export regulations are also being updated. And the U.S. has gone back to the drawing board to draft a revised rule to implement Wassenaar controls on information security technology, software and services. These U.S. and Wassenaar cybersecurity rules are actively being negotiated and drafted in late 2016 and early 2017. Roz Thomsen, one of the nation’s leading authorities on information technology export controls, will discuss the latest on these issues. He will talk about the Wassenaar export controls on Intrusion Software and IP Network Surveillance Systems, the changes to the Export Administration Regulations governing Cloud Computing, and the last gasp of the Export Control Reform Initiative, updating the Encryption regulations. on International Technology Transfers, Cloud Computing & Deemed Exports. This conference provides a unique benchmarking platform around complex EAR and ITAR compliance challenges. Join your industry cohorts to compare best practices for tackling real-life, practical compliance issues. Roz Thomsen to speak on cybersecurity and encryption export controls at WIT-NC event. Roz will provide an update of recent regulatory changes and reform efforts.